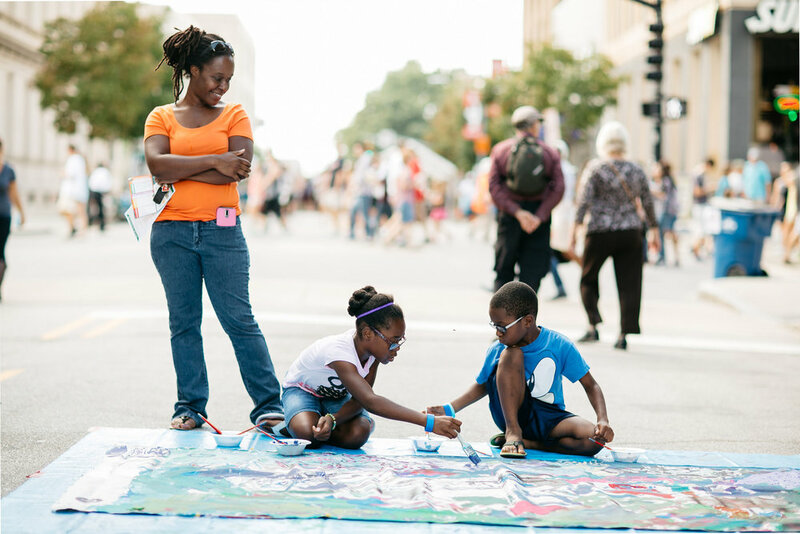 artSPARK offers artists of all ages + backgrounds to partake in installation creations, exhibitions, workshops, AND chalk street paintings, which cover three city blocks of Fayetteville Street! Follow artSPARK on social media or contact the SPARK lead for more information on participating or volunteering with artSPARK. 400 artists turn three blocks of asphalt into gorgeous, temporary art! Street painting registration will open on Monday, August 6, 2018. There is a $20 registration fee per square. Questions, email kyle@visualartexchange.org.